Genial, um maravilhoso look e com direito a um Fast Motion saudoso. 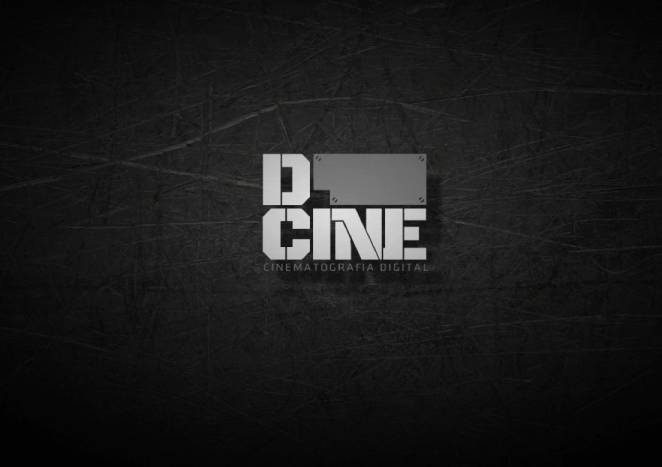 Uma idéia incrivelmente simples e com direito a toda uma família de filmes e 2 opções de bandeja de scanner . 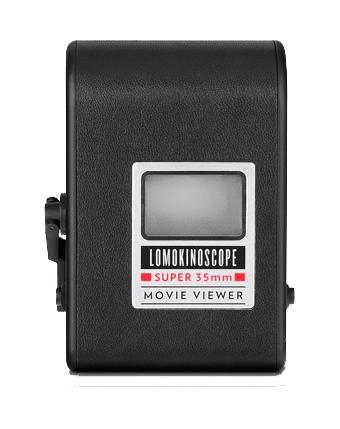 Available in the LomoKino & LomoKinoScope Package, the LomoKinoScope viewer allows you to watch your developed LomoKino movies in the most analogue way possible – Just load your movie rolls into the film containers, put them in the LomoKinoScope, rotate the viewing crank and watch your LomoKino movie unfold before your very eyes! 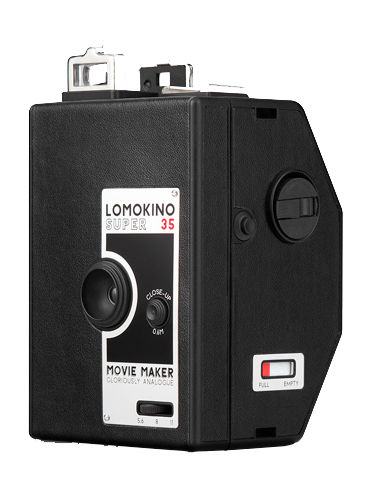 Read the LomoKinoScope guide below and order your LomoKino & LomoKinoScope Package for the complete analogue movie-making experience. Confiram maiores detalhes no site do fabricante. Scarlet-X data rate- 55MB/sec. (440Mbit/sec) REDCODE RAW. 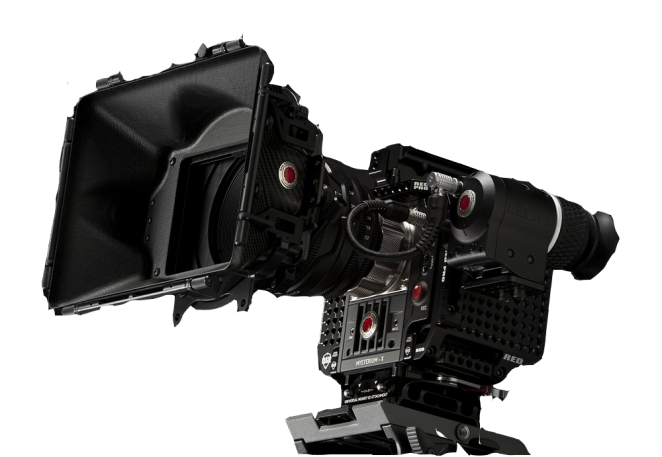 Scarlet-X ships with the Brain, Side SSD and a newly designed aluminum Canon mount. Price for Scarlet-X, including Brain, Side SSD and Canon aluminum mount (auto-focus support) is $9,750 if ordered before December 31st, 2011. After Jan. 1st, 2012 the price for Scarlet will be $9700 for the Brain only. Scarlet-X with a Ti PL mount (add $1500) will begin shipping November 17th. 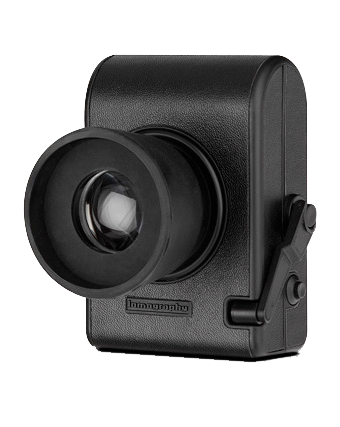 Scarlet-X with an aluminum Canon mount will begin shipping December 1st. The Bomb Squad will be buried for the next week or so… so please expect delays. We would encourage you to read the FAQs (we will update) and try and resist the temptation to call in unless you have a question that we can’t answer here. When will Scarlet-X begin shipping? Dec 1st, 2011 for Scarlet with aluminum mount. Orders for Scarlet with a Ti PL mount will ship November 17th. Add $1500. 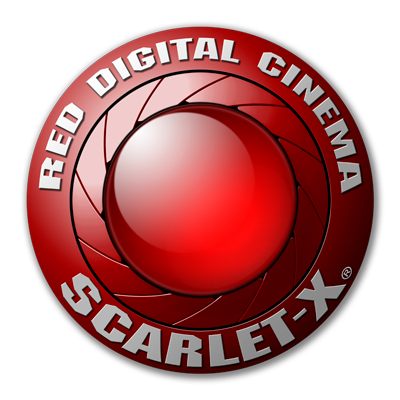 Are there any considerations or discounted packages for RED ONE owners on Scarlet-X? No. RED ONE owners have special consideration for EPIC upgrades only. How can you offer Scarlet-X at this price when EPIC is so much more? Data rates and processing power. ASICs that weren’t fast enough for EPIC… just became a gold mine for Scarlet.This, and board component reduction, allows us to lower the data rate throughput and significantly reduce our costs over volume. Why can’t I shoot 24fps 4K HDRx? Data rates and processing power. *We are working on a future version of HDRx with modified compression to enable this possibility. It will be a firmware upgrade and free. 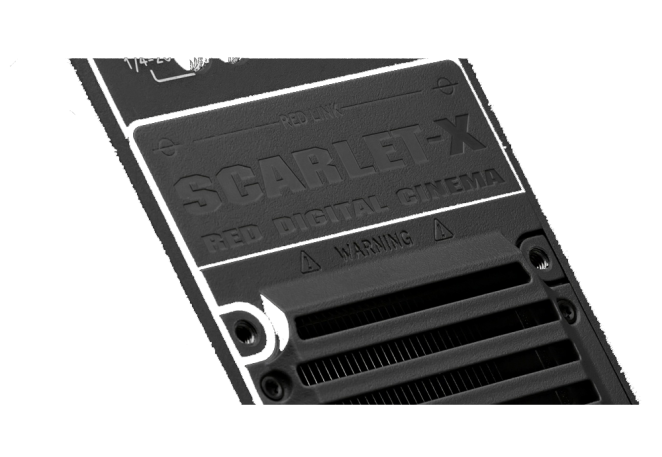 Can Scarlet-X be upgraded to the new Dragon sensor when it is released? Yes. However the upgrade will be more expensive than upgrading an EPIC due to the necessity to change several primary boards. There will still be data rate limitations to Scarlet after the upgrade as compared with EPIC. When will the Dragon sensor upgrade be available? Will I be able to get RED Armor extended warranty for SCARLET-X? Yes, RED Armor will be available for SCARLET-X for $1500. 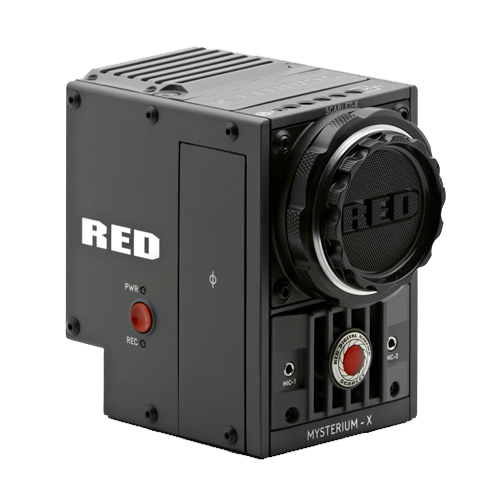 Will firmware upgrades be free for Scarlet-X as they are for EPIC? Does Scarlet have the same native dynamic range as EPIC? Will all features be enabled in Scarlet-X when it ships? No. We will continue to add features as time goes on, some of which were never expected. Scarlet-X feature additions and improvements will happen simultaneously with EPIC. 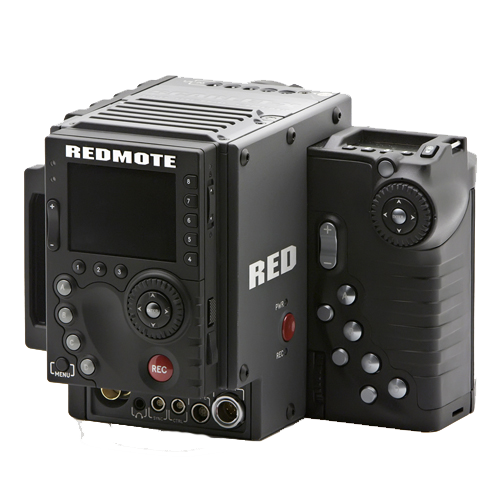 Will there be a different REDCINE-X Professional for Scarlet? No. 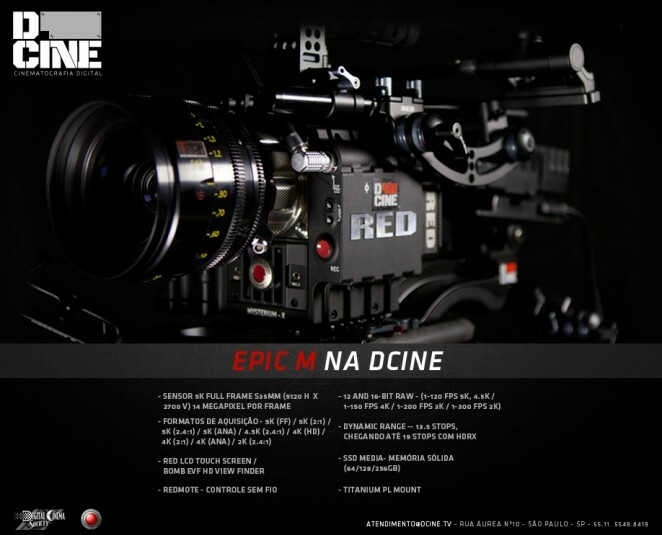 REDCINE-X Professional works both EPIC and Scarlet-X files seemlessly. Will all EPIC Modules work on Scarlet-X? Are there any modules that are specifically for Scarlet-X? No. EPIC and Scarlet share exactly the same accessories. Since Scarlet-X has a lower data rate, does it burn less power and have greater battery life? Yes. More than slight and less than a lot. Does Scarlet-X have the same user-interface as EPIC? Yes. They are brother and sister. Is the side SSD module on Scarlet the same as the one on Epic? Will the Ti PL Mount and Ti Canon Mount work on Scarlet? Yes. All mounts for EPIC work with Scarlet. Everything in the EPIC/Scarlet system is interchangeable. Can I upgrade to the Ti Canon mount or Ti PL mount instead of buying the Aluminum Canon mount? Yes. You just pay the difference in price. And it will not hold up your order. Actually, it will ship 1st because we have a supply of Ti PL mounts. Will anything be is short supply when I order my Scarlet? Yes. Side Handles, REDmote and EVF. Any delay in Scarlet is most likely to be caused by the Canon aluminum mount. When will you get production of all parts up to reasonable levels? February. We have spent a ton of energy to get out of back order status. The team has targeted February as the “end of pain” month. How much does Scarlet weigh? Exactly the same as EPIC. Will Scarlet have Playback enabled? Yes. Playback is being released before shipping. 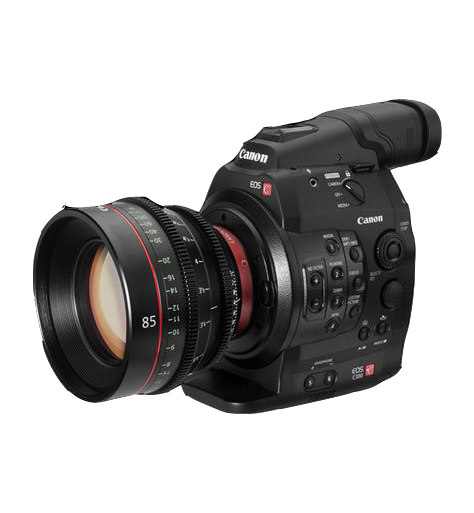 Canon Inc. and Canon U.S.A., Inc. today raised the curtain on an all-new interchangeable-lens digital cinema camera that combines exceptional imaging performance with outstanding mobility and expandability to meet the demanding production needs of today’s motion picture industry. 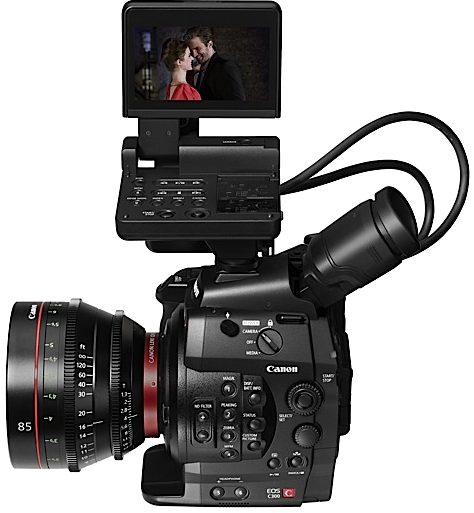 The camera, which features a newly developed Super 35 mm-equivalent approximately 8.29-megapixel CMOS sensor, will be available in two models: the EOS C300 Digital Cinema Camera*, equipped with an EF lens mount for compatibility with Canon’s current diverse lineup of interchangeable EF lenses for EOS single-lens reflex (SLR) cameras and new EF Cinema Lens lineup; and the EOS C300 PL Digital Cinema Camera, with a PL lens mount for use with industry-standard PL lenses. 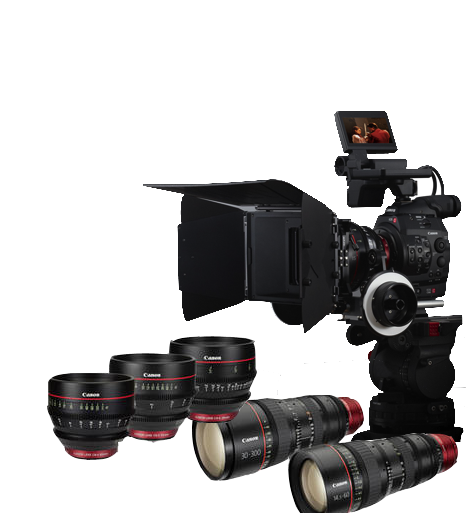 Equipped with an EF lens mount, the EOS C300 is supported by an all-star cast of high-performance EF lenses, not only the wide array of interchangeable EF lenses for EOS SLR cameras that have earned the trust and respect of photographers around the world, but also the EF cinema lenses in the newly announced Cinema EOS System. 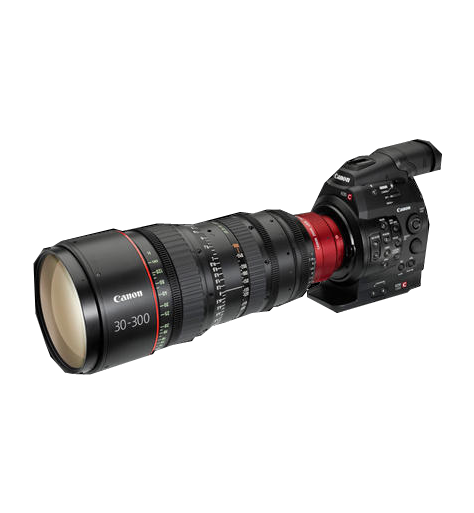 When outfitted with a Canon EF lens, the C300′s peripheral illumination correction automatically corrects for vignetting in accordance with each lens’s optical characteristics, and enables iris control from the camera. Canon EF lenses also enable the recording of such metadata as the name of the lens used, aperture setting and shutter speed. 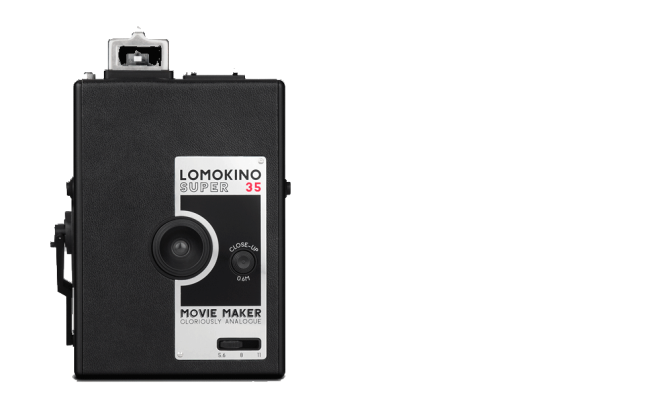 Other features include fast-motion shooting, achieved by capturing fewer frames per second to create action up to 60x normal speed, and slow-motion down to 1/2.5x made possible by capturing more frames per second. Frame rates between 1 and 60 frames per second (fps) can be adjusted in increments of 1 fps. Additionally, a selection of Custom Pictures lets users freely adjust image quality for greater control over how content looks. Acompanhe-nos no FB ou se precisar de nossos serviços e equipamentos – peça nossa lista de equipamentos atualizada. O Longa fotografado pelo querido Alziro Barboza, escolheu a EPIC M da DCINE para debutar em 5K 2.40:1 nas telonas. Confiram maiores detalhes ao longo do processo aqui ou no site da Kinoosfera Filmes. Uma Produção da 19 e da Kinoosfera, com direção de Francisco Garcia. A tão esperada câmera que está rodando os Big Budgets americanos e se tornou a queridinha de Hollywood chegou mais cedo por aqui. Entre em contato conosco e reserve já.